Hello there long time no see huh? After a brilliant Bank holiday weekend spent with Luca, sis and BIL I came out with a really bad cold with complete with a terrible sore throat and generally feeling yuck, so I have not felt like crafting and blogging. But the break did me good and I now back fighting fit. Just as well as today I am taking part in a organized blog hop. 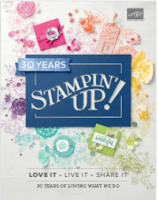 All the projects are using the three new colours recently released by Stampin'Up, and I am sure you will have a fabulous time visiting all the blogs and seeing the fabby inspiration my fellow demonstrators have lined up. If you joined my blog from the ever so lovely Debbie welcome. I love Debbie's gorgeous projects and I am planning in pinching her idea and make one of those card holders, so cute. My offering today is all to do with stamping but not as we know it. I took it to a whole new level and created a very wearable piece of jewellery. 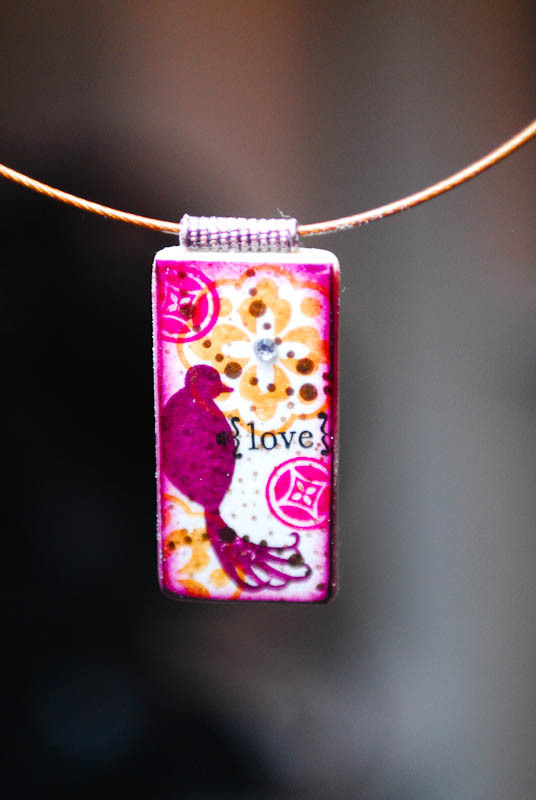 I love using my stamps for so much more than just cards and scrap pages, and I have been wearing this pendant a lot lately, everyone comments on it. Doesn't it look so easy to make? It is really easy and very effective. I need to thank my lovely friend Tracey for the idea, it was three years ago at a Centre Parcs Retreat that she showed us how to make those. I have changed the process a bit (Tracey uses tissue paper to stamp on and no embossing) but the main idea is still the same. I have 3 of those pendants to give away to three lucky bloggers, all you have to do is leave me a comment, I will pick the winners on Tuesday by random generator. Now please hop over to the very talented Joanne to see what she has in store for you today. FABULOUS is the word I am looking for to describe her work, she is so talented. Really loved her projects. WOW !!! Another wonderful creation Monica. You are so talented. what a fantastic idea! I can see me raiding Joshua's toy cupboard! Love it - definitely one to try out! Off to Toys R Us for supplies. Such a beautiful pendant! I kinda wish everyone would stop being so wonderfully creative though as there just aren't enough hours in the day! As always yet another stunning project Monica! Will come back and study the video, so I know how to copy you! What a gorgeous pendant Mon! Fabulous Monica. You wouldn't know what the pendants started life as. What a fab pendant. I never thought of using the stamps that way. That is beautiful Monica, Iam sure the rest will be blown away when they see that in a weeks time. This is lovely Monica, I love this stamp and coincidentally just added a card using to my blog today! Gorgeous. I went shopping for jewellery findings after seeing this in the online class. Lovely pendant Monica. You can use large metal washers too for a 'doughnut' shaped pendant. Your pendant is really lovely and that bit different! Nice change from a card!! Love this Monica I think we should all have one for convention!!! Wow that is sooooo pretty!! ooh wow - love this. thanks for the chance to win one. A beautiful pendant Monica - I'll be back later when I've finished the hop to watch the video, great collage of iamges you've managed to squeeze into such a small space! Fab video Monica, make a great gift. What a great idea - a beautiful pendant. Thanks for giving us the chance to win one. as usual Monica - a stunning project that is drool worthy! Ooh this is lovely!!! 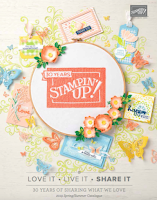 Its amazing what you can use your stamps for, the colour is gorgeous, very girly!!! Loved your domino -- thanks for the tutorial. It's such a clever idea. I love making homemade gifts. Thanks for the video, I'm going to give this a go. That's such a lovely idea, and its brilliant to be able to wear things that you've made yourself! What a lovely pendant, fab idea. I know what i am going to try with my dominoes. Wow Monica ... I can't believe center parcs was 3 years ago!! lol how time has flown! i love your work you have so many good ideas ! I came to your tutorial today by way of Stampers Corner's "Technique Thursday". I used to make lots of domino pendants, but I never used your technique, and it looks fantastic. I think I'll dig out my leftover dominoes and give it a try! Thanks for the inspiration.